The large “#1 True Champions” graphic on the truck was in memory of Rick and Jeff Huseman who recently passed in a tragic airplane accident. “It was important for me to put the graphic on the side of the truck in remembrance of my friends and competitors for over 10 years,” said Chris Brandt. The whole Brandt racing team wore specially printed Tshirts in memory of the Huseman brothers. On the racetrack, the first practice Friday went well but during qualifying later in the day a failed ignition wire left Brandt without any qualifying time. Starting in the back of the pack the BFGoodrich tires had their work cut out for them but were ready for the challenge. By the end of the first lap Chris had worked his way from 17th all the way up to 9th place. At the end of the race Chris Brandt had earned his 11th podium of the season in a hard fought race from the back of the pack to finish 3rd. Sunday proved to be a much better day for the boys of Brandt Racing. #82 laid down some rapid lap times qualifying 2nd and after the inversion, had inside row two starting position. Brandt immediately pushed into 2nd place and the Deegan / Brandt dogfight began. After battling long and hard through the second half of the race, Brandt put on a serious charge in the final laps. Brandt posted the fastest lap on Sunday and with relentless pressure on Deegan forced a mistake but Brandt was unable to capitalize. 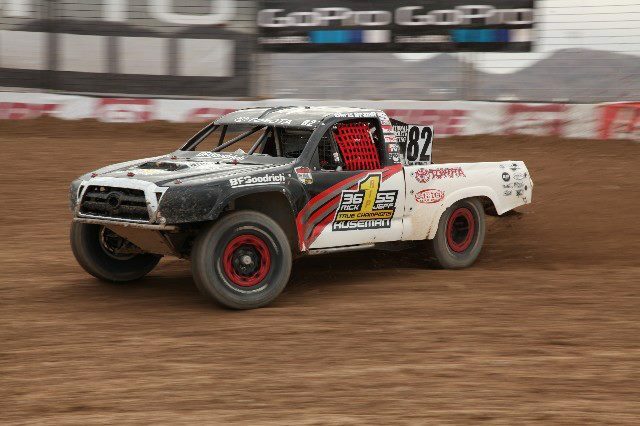 In the final turns of the race, the #82 National Concrete Cutting / Kartek truck pushed hard to give the fans at Las Vegas Motor Speedway a spectacular finish. Unfortunately, Brandt was unable to get the lead and had to settle for a disappointing 2nd place finish. With 3 points separating the Pro Lite Championship Title, Chris Brandt and the Brandt Racing #82 team will be at the final Lucas Oil Off Road Racing round in Phoenix, Arizona at Firebird Raceway December 10th which will sure to rage into a battle to the final checker flag for the Win and the Season Title. 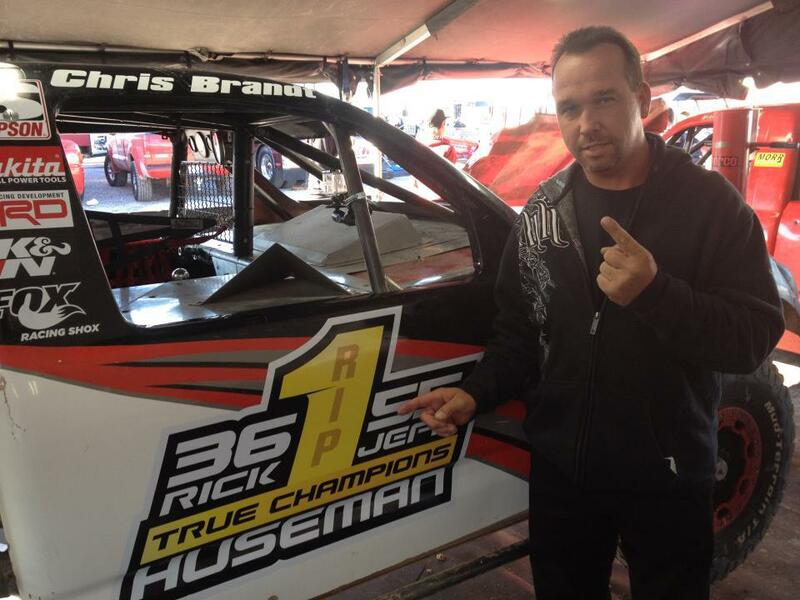 About Chris Brandt: Chris Brandt was named the 2009 Lucas Oil Off Road Racing “Driver of the Year” and continues to prove his presence on the Pro Lite Track being coined as “Mr. Consistency” in 2011 with 12 podiums during the season. Starting in ATV Racing, he moved into trucks with great success as the Great Plains Off-Road Racing Association Champion from 1994-1997 where he would win multiple classes during the same weekend, earning him the title “Ironman”. With multiple championships in PACE and CORR “Rookie of the Year” in 1999, he came into the Lucas Oil Off Road Racing Series with a history of success and a winning nature behind the wheel. Chris Brandt manages to race competitively while running one of the largest concrete cutting companies in the Midwest with his father and raising his young daughter, Macy.